Bible and Quran ~ Islam My Ultimate Decision . Thus as a Muslim I too believe in all the prophets and messengers and the holy books reveled on the prophets Dawood (David), Musa (Moses) and Isa (Isac) (peace be upon them all), besides the Holy Quran, the last holy book revealed by Allah on Prophet Muhammad (peace be upon him). 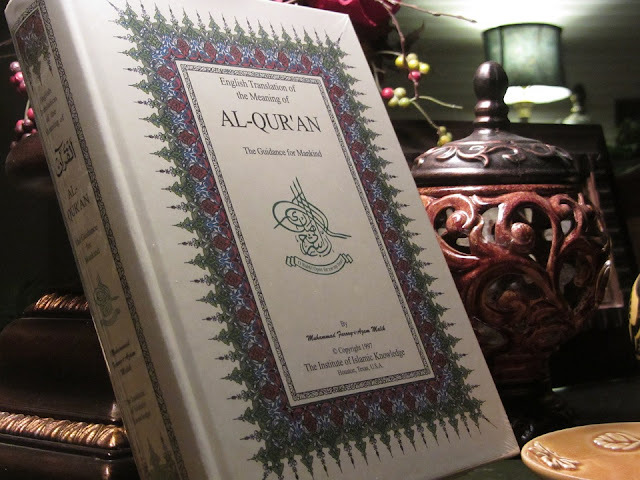 And the Holy Quran makes many references to events and incidents that have been mentioned in the earlier three books, though with some variations. But it is amazing for me to note that the people of Holy Books cross question Quran and its injections based on the knowledge they have from the their books and finally conclude that their books contain truth and that Quran, Allah forbids, is incomplete and in fact an effort by Prophet Muhammad (peace be upon him) to mislead the people of earlier faith. I will quote many such examples in the following lines. But let just say one thing that there have been many theories presented by scientists and scholars which have either been validated by their successors or totally disregarded based on new knowledge available. Likewise, the Holy Quran which is the last Holy Book by Allah Almighty, is the final word on the commandments sent by Allah earlier for there has to be no prophet or messenger after Prophet Muhammad (peace be upon him) and that Holy Quran is to be the last revealed holy book from Allah Almighty. Before we discuss some contradictions and similarities of Bible and Quran, I would like to clarify one thing. While reading about Bible and many comments by the followers of the third holy book, I found that many of them consider Allah to be something different from their God. This is simply amazing. We have names of the same objects and people and even prophets spelt differently in different languages. For example, Prophet Musa (peace be upon him) is spelt as Moses in English, while Prophet Eesa (peace be upon him) is known as Jesus by Christians. Likewise in Arabic Mariam is what is Mary in Bible and Hawwa is Eve and so on. Likewise the word God in Arabic is spelt as Allah, the omnipotent and the one who is the creator of the entire universe, even other than our planet earth. Thus considering Allah to be something different from God, the same God mentioned in the three earlier holy books is nothing but lack of knowledge of Arabic language. We will continue the topic in the coming posts to talk specifically on some of the major contradictions between Bible and Quran.